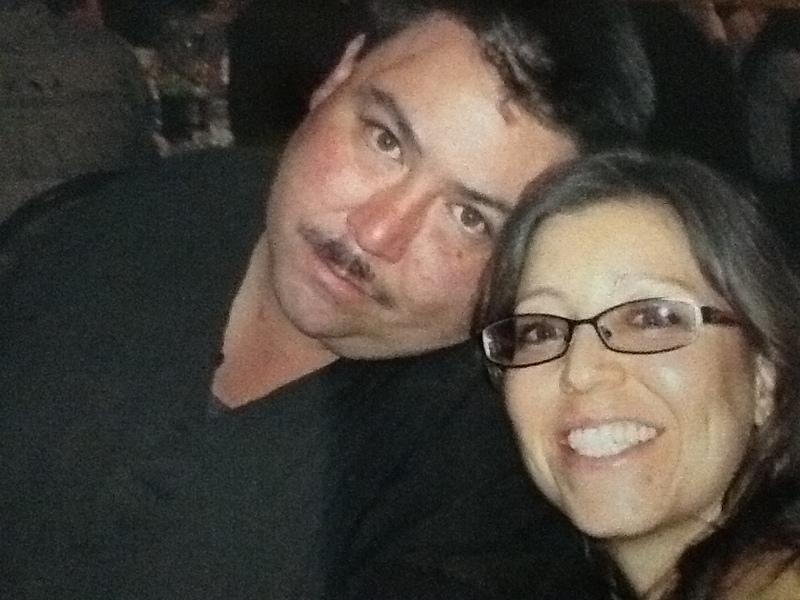 January was a sad month in our home because my big brother passed away. He went a little early to hang out with my dad in heaven. He was such a great brother and loved me and my family like you wouldn’t believe. He was so caring and helped anyone who needed it. He was such a funny guy and he always made me laugh, especially with his impersonations. I loved just hanging out in my parent’s kitchen, talking and laughing with him. 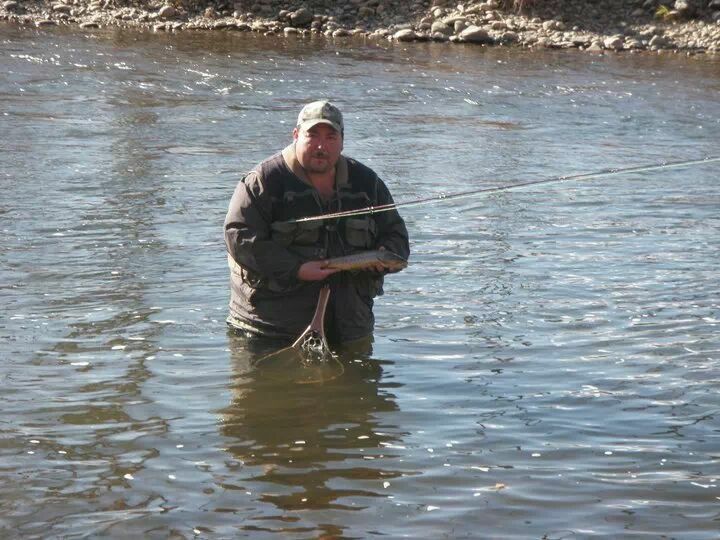 My brother was a fly fisherman and loved to be out on the river, rain or shine. 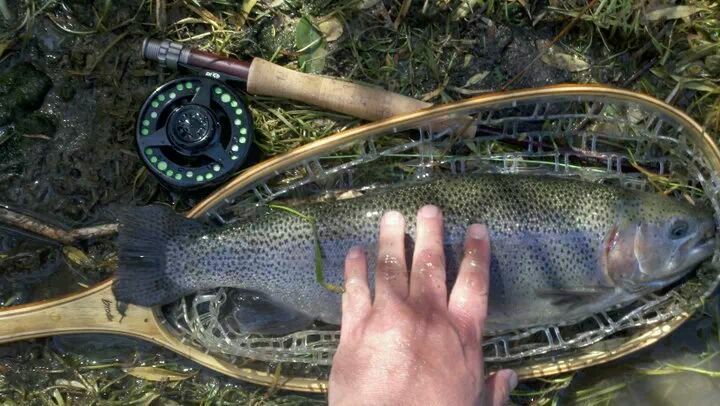 He spent many of his days in the chilly rivers of Colorado, casting his worries away. I love him so much and will miss him terribly. Me and my big brother at my cousin’s wedding. 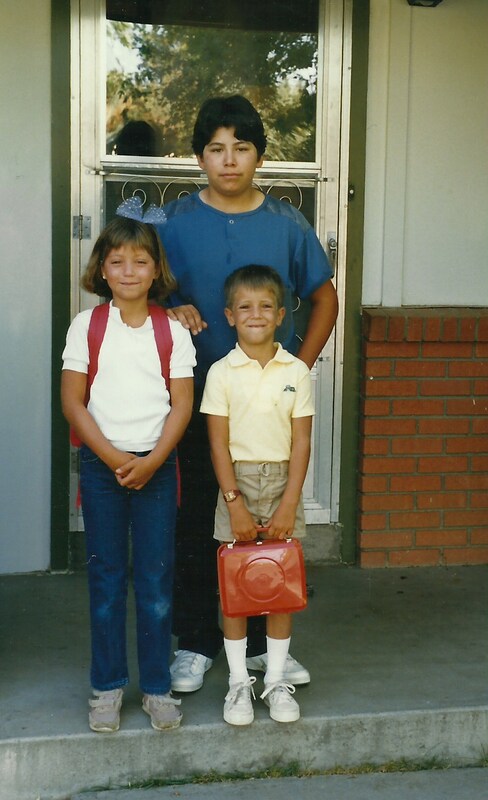 The photos above and below are of me and my two brothers. Obviously, one was when we were little on the first day of school and the other when we were celebrating my dad’s life the week of his funeral. I love my brothers! 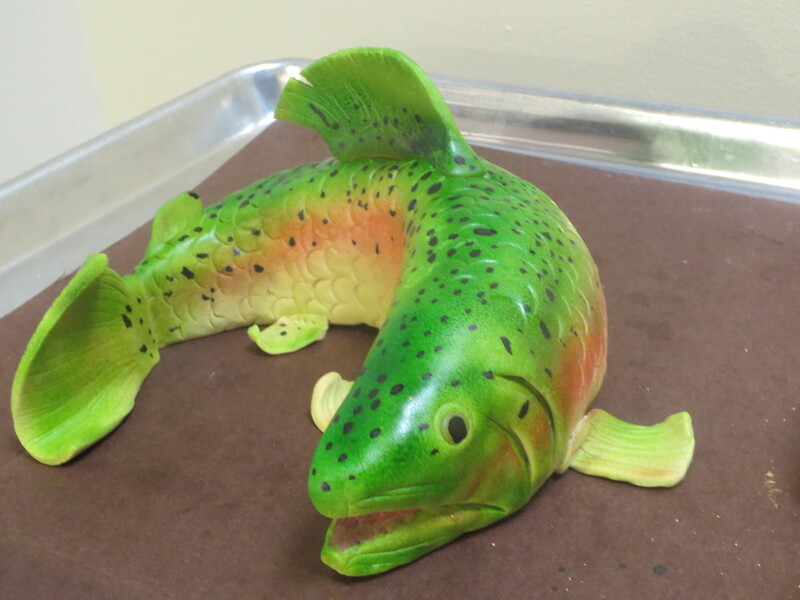 Below is a photo of a fish my brother caught, probably on the Arkansas River. 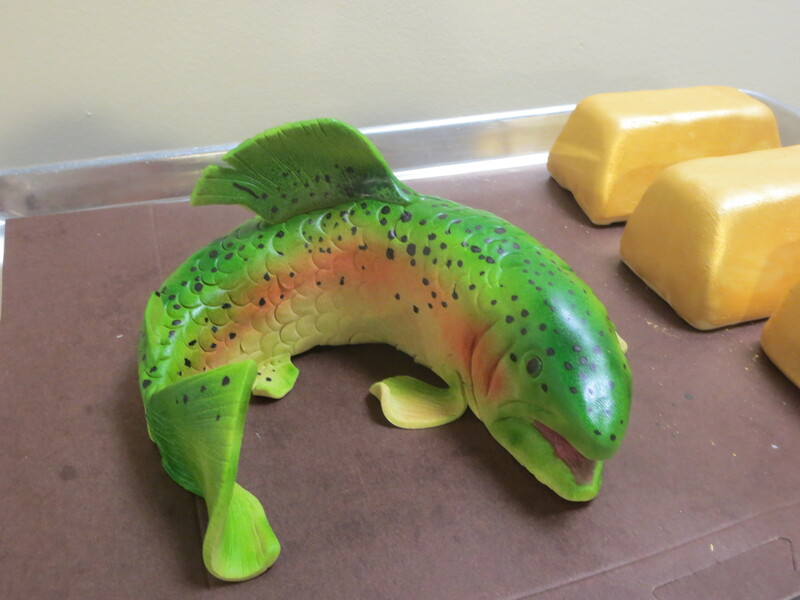 In the photo below, I had made a fondant rainbow trout for work and the whole time I thought of my big brother and my dad while I sculpted it. They would have loved a big cake with one of these guys on top. Below are the cards that I created for my brother’s memorial service. The photo is of my two brothers fly fishing together, freezing their butts off. 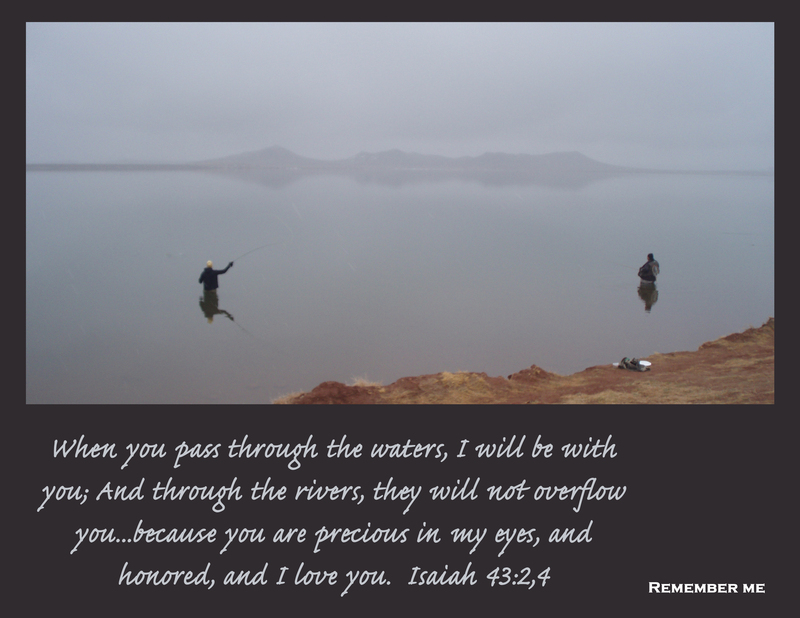 The bible verse on the card is from Isaiah 43: 2,4. To me it says that God is ALWAYS with us, even through the tough times. We are so precious to God and he loves each and every one of us. The part on the card that says “Remember Me” is the place where I put a fly that was tied by my brother. He had tons and tons of flies that he made himself and everyone got to have one to always remember Abad. 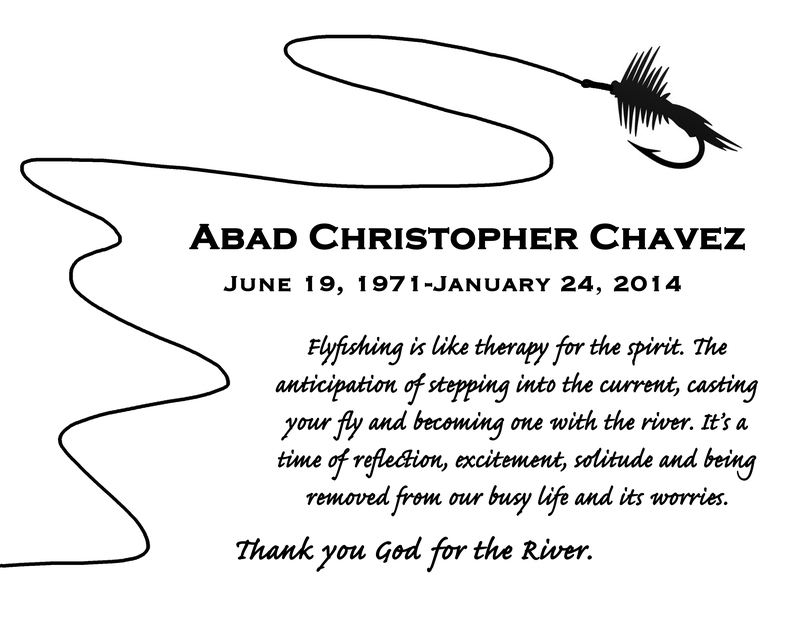 The paragraph that is written on the back side of the memorial card was something that I put together from my little brother’s words about fly fishing. I thank God for the river because my brothers and my dad had so many wonderful times together and that is how God intended it to be. I love you Buggy! I hope this website gives you great ideas and helps you out with the blog tutorials and photos. Thanks for checking out Byrdie Girl Custom Cakes website!